Dog toys that move on their own is something I have been trying to experiment with my dog to see if it can generate more fun for it. Unfortunately, I couldn’t find any I like so I settle for simply dog toys that can move. To my surprise, my dog loves it. I have heard stories of how other dogs are frighten of dog toys that move, no matter how amazing they are. If you have to try out some of these toys, here are what I recommend, based on my own experience as well as doing diligent research online. 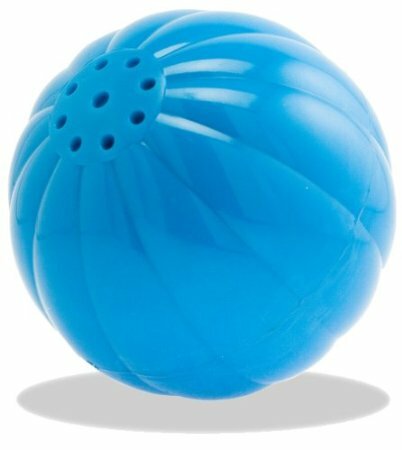 After much research and thought, this was I bought for my dog: a A freaking ball that rolls and talks when being touched! Seriously though, I bought this because it is the only moving dog toy that I felt had a chance to survive chewing from my dog. Previously, I try some dog plush toys but they were destroyed in a matter of days. This ball is made of plastic so I thought it was the perfect dog toy for chewers. As expected, the plastic made it hard for my pet to chew through it. However do note that you need to order the right size. If you order something too small, it might become a choking hazard for your dog. The small one is like a golf ball while the medium one is more like a tennis ball. One warning though. If your dog loves it, you need to put to it away at night. If not, the dog might play it at night and you will be kept awake with all the sound the ball is making. 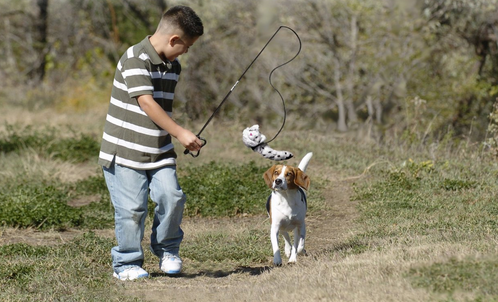 The talking babble ball runs on batteries which needs replacing within 1-2 months, depending on how much your dog plays with this moving toy. Cost of batteries is the same as buying 3 1.5 volts batteries. This moving dog toy is cheating since it doesn’t technically move and I feel it is a great toy that should be recommended, even it is not fully interactive as the babble ball. I bought this as I like to take my dog outdoors since I am an outdoor person. (Check out the best dog bike basket if you want to ride with your small dog). You cannot imagine the amount of energy your dog will expend in chasing after this silly plush toy. It would jump, chase and do all it can just to have the bugger in its mouth. Amazing fantastic outdoor toy for a dog. However, it does have its cons. From what I read, the original version of this toy is made of a single pole, not the current 2 piece model. As a result, it is stronger than the current version, which seems to break easily at the connecting part. Mine is still ok but I was careful with it. I can understand how it can break easier given the force of the dog when it is chasing the plush dog. Protip: enforce the connecting joints with strong tape. That will give it more strength to withstand the force of the dog when it caught the toy. Also, do note that it is best suited for one dog. If you have more than one dog with only one stick, it might lead to a serious dog fight that dog owners definitely don’t want to see. Overall, it is a great concept but needs improvement in the built quality. Having said that though, if you are careful, this toy definitely works and your dog will spend all day chasing it. One other toy that caught my fancy but I didn’t purchase is the Crinkits. The concept seems interesting. It is a protective cover that is designed to wrap around a water bottle such that it wouldn’t be destroyed when played with by the dog. This idea came from the observation that dogs seems to like playing with water bottles in general. What make the toy works is probably the sound of the water bottle being squeezed. I don’t know what it is about this sound but it hooks the dogs easily and explains why they love this. The only reason I decided to give it a miss is because of the durability of the rubber. It was supposed to protect the water bottle such that it will not be shredded to bits when dogs bit or chew on it. Unfortunately, it failed in this area as I saw lots of reviewers complaining about their dog destroying the rubber in a matter of days. 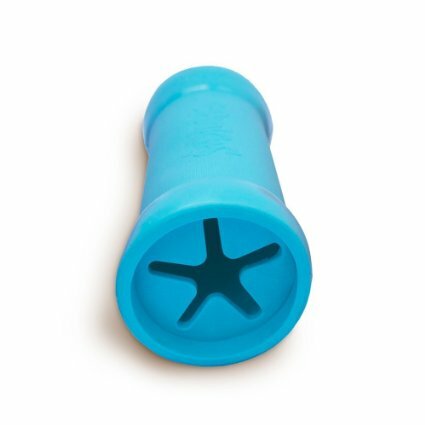 Since my dog is a chewer as mentioned above, I don’t feel safe buying this as I worry about it swallowing the water bottle once the outer rubber comes off and it shreds the bottle to bits. If your dog is not a chewer like mine, I think this is a great example of a cool dog toy that moves, although not on its own. It is pretty hard or near impossible to find amazing dog toys that move by themselves. Instead, I think these options I have listed is far more durable and suitable, at least according to my own experience. If you have things to share, I would love to read about them in the comments.